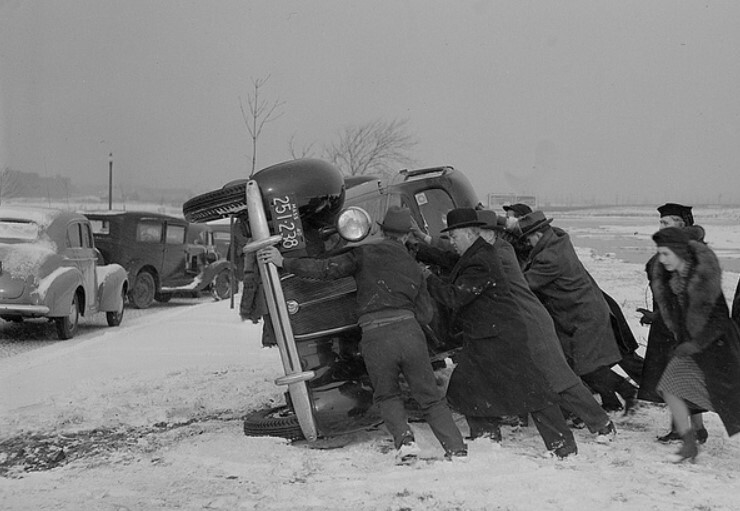 Have you ever wondered what tragic event in your family history forced your ancestors to suddenly pick up and move? Or have you wondered why Great-Grandpa was raised by the neighbors for a time? Disasters, tragic accidents, and all manner of other calamities impacted the lives of our ancestors. 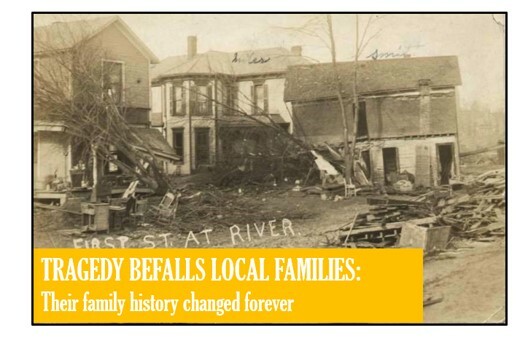 What disasters and catastrophes shaped your family’s story and how can you learn more? Read along to find out! Years ago, I met a young man who told me a story about his great-grandmother. “Her parents were killed when she was only 8 years old,” he said. How awful! “How did they die,” I asked. The boy thought he remembered hearing it was some sort of accident. And this is where it typically begins. An oral story passed down from one generation to another. But can we find the “real” story? You bet we can! While doing the traditional searches for records of his grandmother, we pieced together the sad tale. She had been the sole survivor in an automobile accident that killed her parents and several others. How had this changed the “story” of his grandmother and her descendants? Does knowing this story change the feelings of family members? I think, yes. In my own family history, the tragic loss of my grandfather in a coal mining accident changed the course of my mother’s life drastically. My grandmother was so concerned for the lives of her boys who were still working in the mines, that she moved the family to Ohio. That move ultimately provided my mother with more opportunities for education and learning she may never have had in the “holler.” Her life, education, and achievements are a direct reflection of the decision my grandmother made to move her family. As genealogists, we are often more keenly aware of the lives and trials that shaped our family history than our peers. If you haven’t spent time pondering this question of the events that shaped your family’s history, perhaps you could give some of these ideas a whirl. GenDisasters.com is an interesting website dedicated to posting old newspaper articles about disasters, accidents, and other catastrophes. Even if you don’t find anything about your own relatives, it makes for an interesting afternoon of reading. GenDisasters.com is run by Stu Beitler and Teri Brown and has been around for several years. Creating a free account at GenDisasters is not required. You can search the website by the type of disaster, the year of the disaster, the state in which the disaster occurred, or search within Canada. I was amazed at all the types of disasters that have been collected. Tornados to auto accidents and floods to cave-ins, there is no shortage of bad news. Some articles include photographs as well. Articles can be found from as early as 1833 through the present time. Source citations for each article include the newspaper name, date of publication, and title of article…if given. At this time, there is no way to search disasters by surname which makes it a bit difficult to narrow down key people in your family. In other words, you would need to know of a specific state and the type of disaster to have a good chance at finding what you are looking for. When you search first by state, you can scroll down to the cities or counties you are interested in. Cities and counties within the state section are alphabetized. 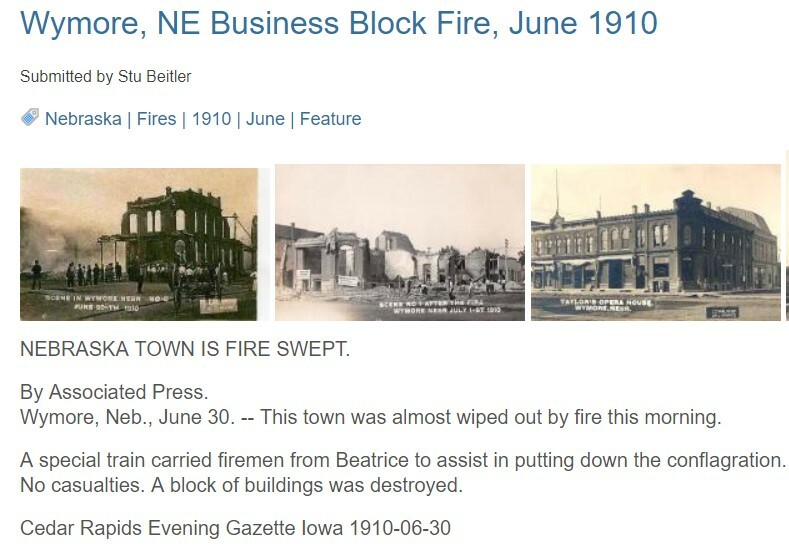 Using other resources such as Newspaperarchive.com, Ancestry.com, MyHeritage.com, states archives, and local libraries are a few more ways to learn more about your family stories. When visiting a local repository, be sure to ask for assistance. The knowledgeable persons at these on-site locations are an often un-tapped source of fantastic information! Whether the tragic events of the past moved your ancestors far away or completely changed the direction their lives were going, those events impact us today. Their trials and adversities can stand as a testament to their strength and courage. What disasters and catastrophes shaped your family story? We would love to hear from you, please share your stories in the comments below. 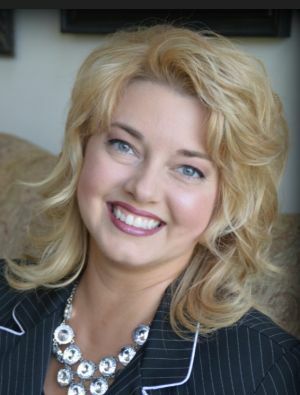 The Genealogy Reporter has entered into an affiliate relationship with Ancestry.com. Clicking on the links in this blog post may result in a commission being paid to The Genealogy Reporter at no additional cost to you. This article was originally published in May 2015 at the RootsBid.com blog. “Seven Killed in Three-Car Crash,” Findlay Republican Courier, Findlay, Ohio, 10 May 1957, online archives, MyHeritage.com (http://www.myheritage.com/research/collection-10025/newspaperarchivecom?s=243621051&itemId=685271352&action=showRecord : accessed 14 Aug 2015), page 9 and “Crash Claims New Victim,” The Times Recorder, Zanesville, Ohio, 11 May 1957, online archives, MyHeritage.com (http://www.myheritage.com/research/collection-10025/newspaperarchivecom?s=243621051&itemId=346995308&action=showRecord : accessed 25 Aug 2015), front page.